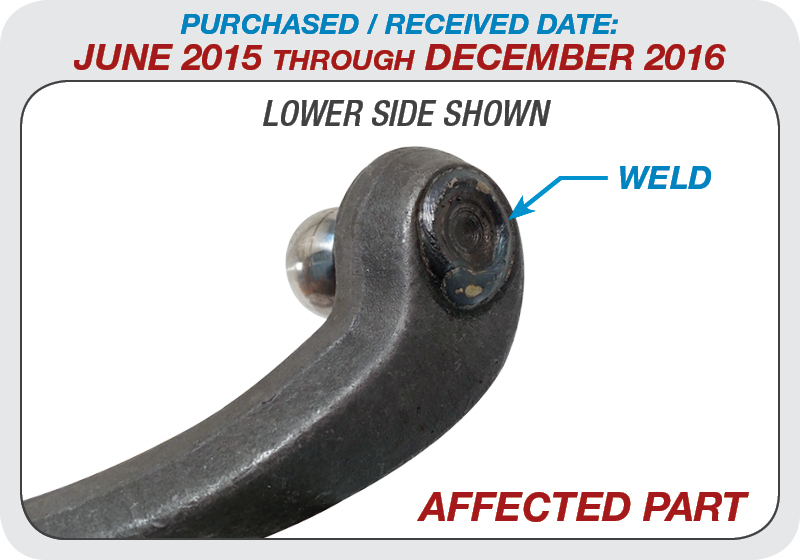 CPP has implemented a voluntary safety recall of steering pitman arm part #5557PA-M. The pitman arm has been identified to have some manufacturing inconsistencies. As we have continued to monitor and evaluate the pitman arm’s performance, we have concluded that it is necessary to recall a certain number of pitman arms isolated to only one manufacturer during a specific period of time. Some of you may have already received a recall notice, others may be receiving one soon. We are asking that this matter be taken seriously! Please contact us as quickly as possible to help us determine whether your vehicle is affected by this recall. This is not a shining moment for CPP and we sincerely wish we were not putting any of our customers in this position. We are trying hard to navigate this recall process as quickly and efficiently as possible. We are also reviewing our internal engineering, inspection and destructive testing processes and making the necessary changes to ensure something like this can never happen again. CPP part number #5557PA-M Manual Steering Pitman Arm for 1955-57 Chevy Car purchased, received separately, or as a component of specific steering kits (listed below) between June 2015 and December 2016. Some inconsistencies in the manufacturing process have been discovered and have raised serious concerns about the integrity of the pitman arm supplied during that time. Your pitman arm could have been purchased directly through CPP or through a stocking authorized dealer below. *Note: Parts purchased or received FROM Authorized Stocking Dealers AFTER December 2016 may still be affected. 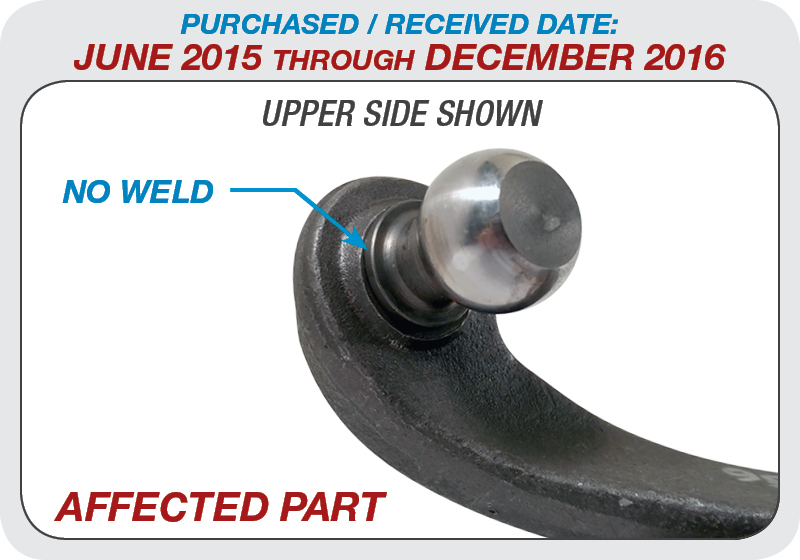 Contact your original place of purchase to verify manufacturing date of pitman arm. If you've purchased or received part #5557PA-M (as specified above) between June 2015 and December 2016, inspect your pitman arm to see if it’s welded on the bottom of the ball stud (the side nearest the road) as well as the upper side near the base of the ball stud. If your pitman arm is not welded on the upper side nearest the base of the ball stud, to avoid accident, serious injury or death, discontinue operating your vehicle until the inspection and identification process of your pitman arm has been completed. Please contact CPP’s dedicated recall management team at 1-833-710-8788 or email us at info@classicperform.com. Please have as much information as possible regarding your purchase to assist us in the identification process of your pitman arm.